If you have wanted something that cost the price of a U.S. Belt buckle but displays like a million dollars then this is for you. 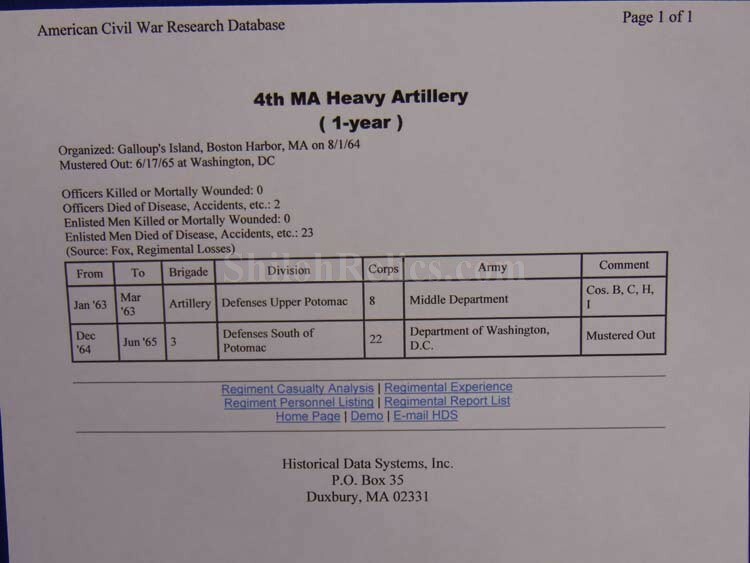 This is what is referred to as a "MILITARY REGISTER" and is so marked across the top. 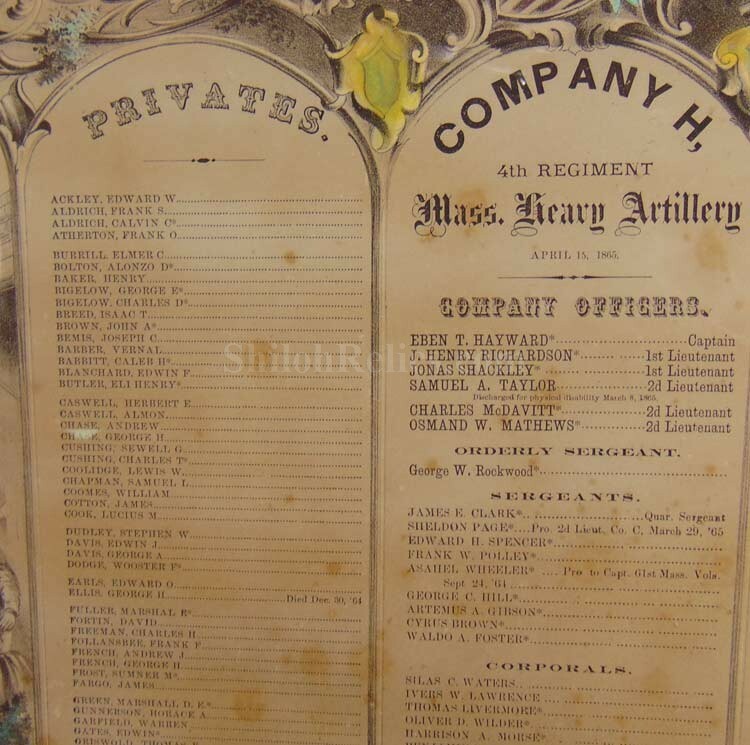 These beautiful printed lithograph of poster size paper was made to honor the men that served in the 4th Massachusetts Heavy Artillery. 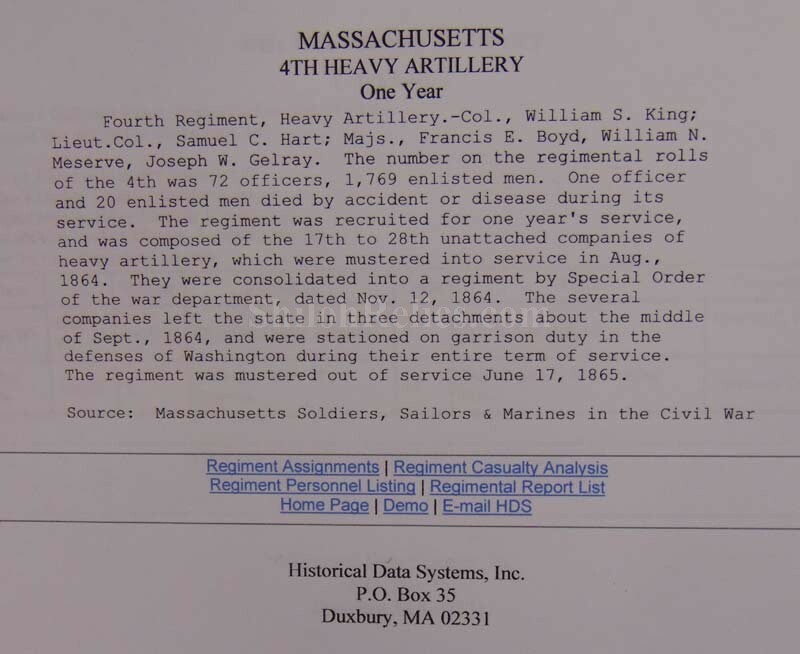 The 1st Massachusetts Heavy Artillery spent the term of its service defending Washington, D.C. 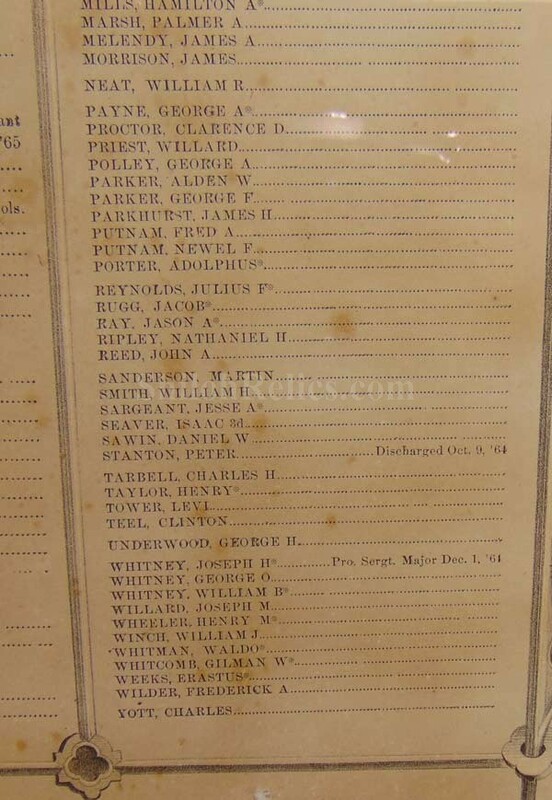 These were printed so they could be sold to the members of the Company that survived or by those family members that lost soldiers during the war. This one is for Company "H" and is so marked in the center. The top has the colorful scenes that include Lady Liberty surrounded by soldiers. 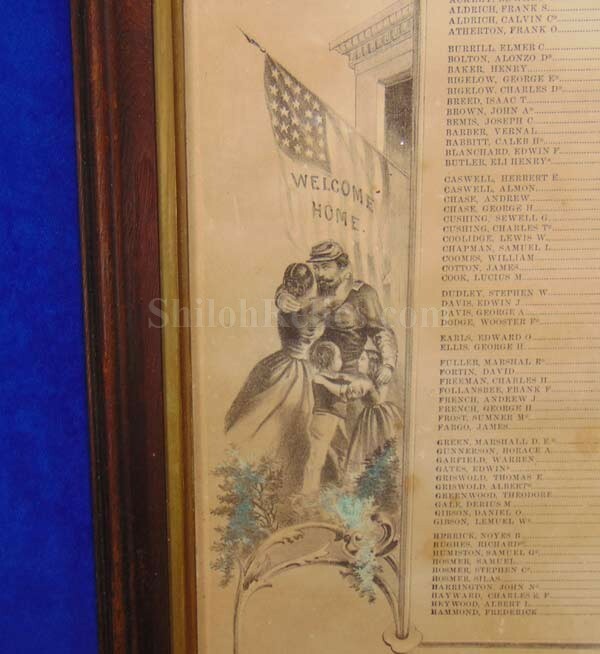 On the left hand side it has the soldier and the wife when he returned home. On the right hand side it has a scene of them with the children. 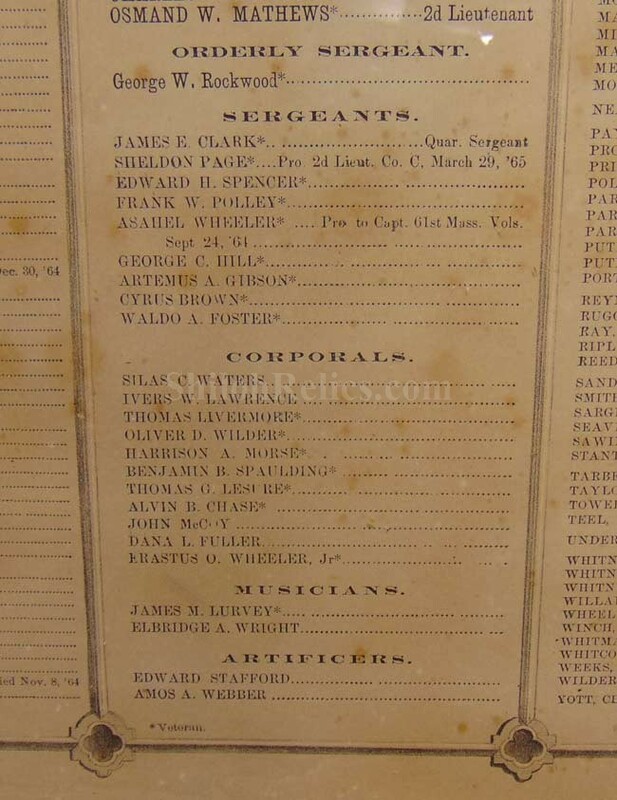 It lists all of the men that served in the 1st Massachusetts Company "H" and notes the Resignations, Appointments, discharges and deaths. 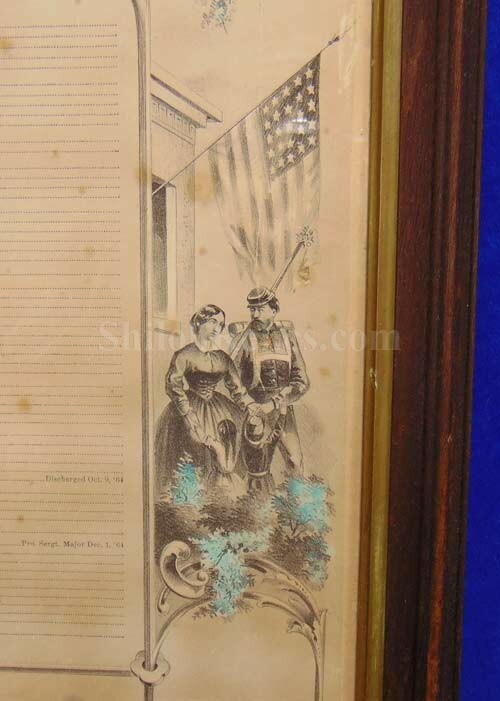 Along the bottom edge it notes that it was lithographed by A. Hoen & Co. of Baltimore. The overall size of the frame measures 20-1/2 inches by 25 inches in size with the lithograph measuring 17-3/4ths inches by 22 inches. 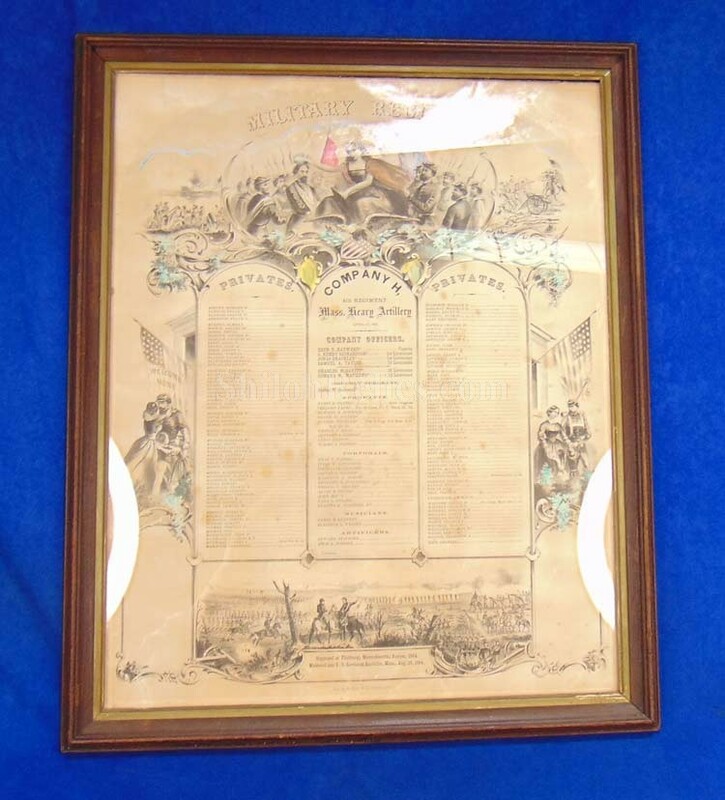 It comes beautifully frame in the antique frame and it is ready to be hung on your relic room wall.